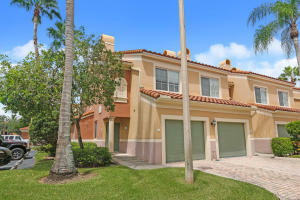 11775 St. Andrews Place #101 Wellington, Fl 33414 has been sold. You can view available homes in Polo Club. PRISTINE END UNIT IN HIGHLY SOUGHT AFTER SAINT ANDREWS AT THE POLO CLUB, JUST MINUTES FROM WEF, GLOBAL DRESSAGE, AND POLO. SELLER HAS TAKEN IMMACULATE CARE OF THIS UNIT, IT WILL NOT LAST LONG! 11775 St. Andrews Place #101 located in Wellington, FL is a condo with 2 bedrooms, 2 full baths and 1 half baths.The Condo at 11775 St. Andrews Place #101 was built in 2000 in Polo Club and offers a 1 car garage. This Polo Club Condo offers pool, tennis, clubhouse, exercise room, spa-hot tub, sidewalk, manager on site, street lights. 11775 St. Andrews Place #101 Wellington, Fl is currently listed for $325,000 under the MLS# RX-10458596. This Condo has been put on the Wellington MLS system and currently has a status of SLD. Polo Club in Wellington is really a wonderful community in a great city. If you like the beautiful Wellington location but you are not sure about this community. You might like one of the other local communities like Meadow Wood Landings or Maidstone or Talavera or Versailles or Southfields that are located here.